I have hit the 45,000-word mark on this first draft of my as-yet very untitled work. This is significant because I'm estimating that 45K is about the halfway point. I've finally stopped being a perfectionist on this thing and started a revisions document, so I can note down the things I want to change when I get to revisions, so then I'm just a-typin' along. 45K might seem like a lot of words to be only halfway through a novel draft, but this is historical fiction (well, women's historical fiction? Women's fiction? Whatever). Historical fiction is usually somewhere in the 90,000 to 110,000-word range and sometimes is as long as 120,000 words. I think 90K is about the limit of this particular story. And after some of the unnecessary drama of the past few days, it's time to move on and celebrate getting to the halfway mark. You all might have seen and read some of the posts I've done on here and on my author Facebook page about an impending anthology that I had a short story in. Past tense, yes. Keep reading. This anthology came together late last year and I was super excited about it because I was looking to have another piece out in the world after Pearl, but I'm not a fast writer, so this offer seemed like a perfect solution. It would be my first experience with a publisher who isn't me and I would be in the company of so many talented authors. Short stories take less time to write and I hadn't written a short story since college, so it would be like using an old artistic muscle. Well, things haven't quite worked out. The authors are currently trying to decide on a solution. Half a lifetime ago, I was a fifteen-year-old girl who had just begun her sophomore year of high school and was still not back in the swing of the school year. I was in the car with my mother on the way to school one pleasant, blue-skied Tuesday morning. We were driving on an overpass, the Z100 Morning Zoo blaring out of the radio when one of the DJs suddenly said, "Hey, I think I saw a plane fly into the Twin Towers!" What? It didn't make sense. All my life, the Twin Towers--the World Trade Center--had loomed, two huge silver buildings at the foot of Manhattan, distinct from the other towering figures anchored in Manhattan's bedrock. When I arrived at school, on a mission to get myself switched from Earth Science into Chemistry, the DJ's exclamation left my mind. It's the first Wednesday in September--must be time for IWSG! 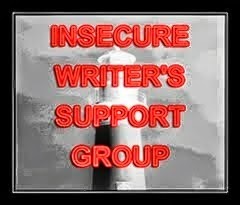 The Insecure Writer's Support Group is a large group of writers online and we come together to exorcise our writerly insecurities on the first Wednesday of the month. Our co-hosts for today are: C. LeeMcKenzie,Rachel Pattison,Elizabeth Seckman,Stephanie Faris,Lori L MacLaughlin, and Elsie Amata! 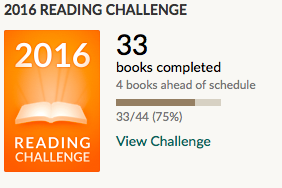 Here we are at the almost three-quarter point of the year... and here I am with 33 books read! 23. The Suffragette Scandal (Brothers Sinister #4) by Courtney Milan. Fiction/Historical Romance/Victorian England. 4 stars. 24. Plastic Smile (Russell's Attic #4) by SL Huang. Fiction/Science Fiction/Action/Thriller. 4 stars. 25. A Leaf on the Wind of All Hollows (Outlander #8.5) by Diana Gabaldon. Fiction/Fantasy/Historical/ Novella. 3 stars. 26. The Decline and Fall of the British Aristocracy by David Cannandine. Nonfiction/History/Social history/Britain. 2 stars. 27. Collecting The Constellations by Emily Steers. Fiction/Mystery/Thriller/Contemporary. 5 stars. 28. The Warmth of Other Suns: The Epic Story of America's Great Migration by Isabel Wilkerson. Nonfiction/History/American History/African-American history/Twentieth century. 5 stars.